Before attempting the recovery of your data, you must be aware that the data cannot always be retrieved. In case of a physical failure of a hard disk you will not be able to do much good to the hard drive except bring it to a data recovery expert. Modern hard drives are complex yet reliable pieces hardware. They rarely fail for no reason, at least on a physical level Logical corruption prevails with complex operating systems, buggy software, malicious or careless acts of an end-user, malware and viruses. Power failures and computer hardware malfunctions also account for many cases of corrupted hard drives and lost data. The logical corruption can often be dealt with at home or your office. Provided that you have the right data recovery tools, you’ll be able to do it yourself without any special skills. Be aware that the data recovery process is a lengthy one. You’ll need plenty of time and enough space on a working, non-corrupted hard disk or other storage device to facilitate the recovery. Before you begin, make sure that you restrict any write operations onto the damaged disk. If you don’t have data recovery software already installed on your computer, don’t save or install the data recovery program onto the corrupted drive Instead, use a different drive letter, a flash memory card or a USB drive. Even a flash card from your digital camera can store and run the data recovery tool! The choice of a data recovery tool is a very important one. If you have no previous experience in recovering data, choose software that offers maximum level of automation. It’s a good idea to make sure that the tool you pick allows saving a copy of the damaged disk onto a healthy disk in order to work on a backup copy instead of operating the live disk. 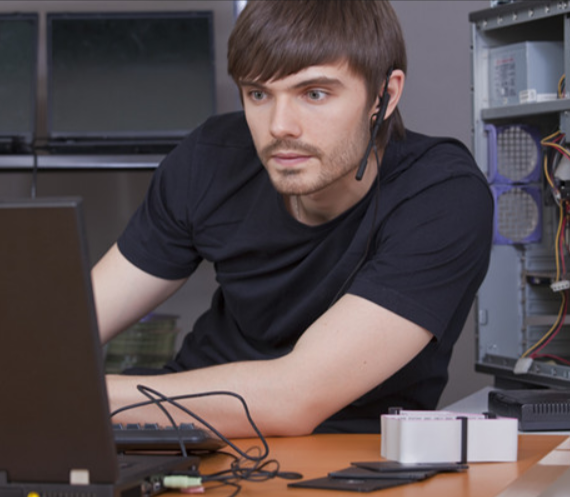 The steps needed depend on the data recovery software that you choose for the job. Most software options can create a backup copy of the damaged disk and then performs all recovery operations on the copy instead of the original. If something goes wrong, you still have the source hard disk in its original condition; just make another copy and try again. The data recovery process is pretty straightforward with most software tools. Step-by-step wizards are common that guided you through the recovery process. Data recovery software often can fix the most complex issues with modern hard disks. Corrupted file systems, bad partition tables, FAT or NTFS failures are usually not a problem Most importantly, data recovery software developers value your data more than the integrity of the system structures. You’ll have a chance to save your documents, digital pictures and archives from the damaged drive before attempting the recovery. If you do not feel comfortable using such software, take your failed storage device to a local data recovery expert. Often that is the best thing to do.